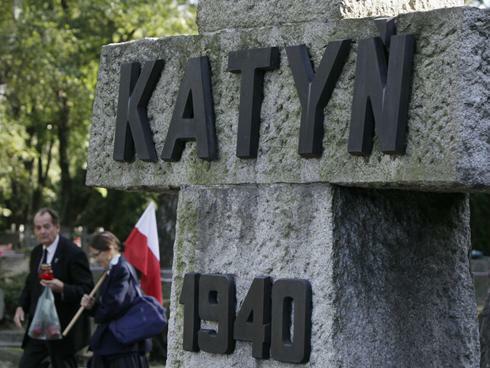 New evidence appears to back the idea that the US helped cover up Soviet guilt for the 1940 Katyn massacre of Polish soldiers. In an exclusive story, the Associated Press says that newly released documents support the suspicion that the Roosevelt administration did not want to anger its wartime ally, Joseph Stalin. The documents were made public by the US National Archives on Monday. More than 22,000 Poles were killed by the Soviets on Stalin’s orders. Soviet Russia only admitted to the atrocity in 1990 after blaming the Nazis for five decades. The documents show that American prisoners of war sent coded messages to Washington in 1943 to say they had seen corpses in an advanced state of decay in the Katyn forest near Smolensk, in western Russia. The group of American and British POWs had been taken by the Nazis against their will to witness the scene. The information proves that the deaths had not been carried out by the Nazis, who had only recently occupied the area. The close to 1,000 pages of new material will help determine what the US knew and when. It has long been believed that President Franklin Delano Roosevelt did not want to question the version of events put out by Stalin, an ally whom the Americans were counting on to defeat Germany and Japan. According to the report by the Associated Press, information about the massacre was suppressed at the highest levels in Washington. Katyn expert Allen Paul said some of the material did not appear in the record of Congressional hearings in 1951-52 held to investigate the massacre, suggesting it had been deliberately kept hidden. Among the new evidence is a report sent to President Roosevelt by the then British Prime Minister Winston Churchill – who did not challenge Stalin’s claim either – which also pointed to Soviet guilt. The report is written by the British ambassador to the Polish government-in-exile in London, Owen O’Malley, AP says. “There is now available a good deal of negative evidence, the cumulative effect of which is to throw serious doubt on Russian disclaimers of responsibility for the massacre,” Owen O’Malley wrote. The April 1940 killings were carried out at Katyn and other sites by the NKVD secret police on Stalin’s orders. Members of the Polish elite, including officers, politicians and artists, were shot in the back of the head and their bodies dumped in mass graves.